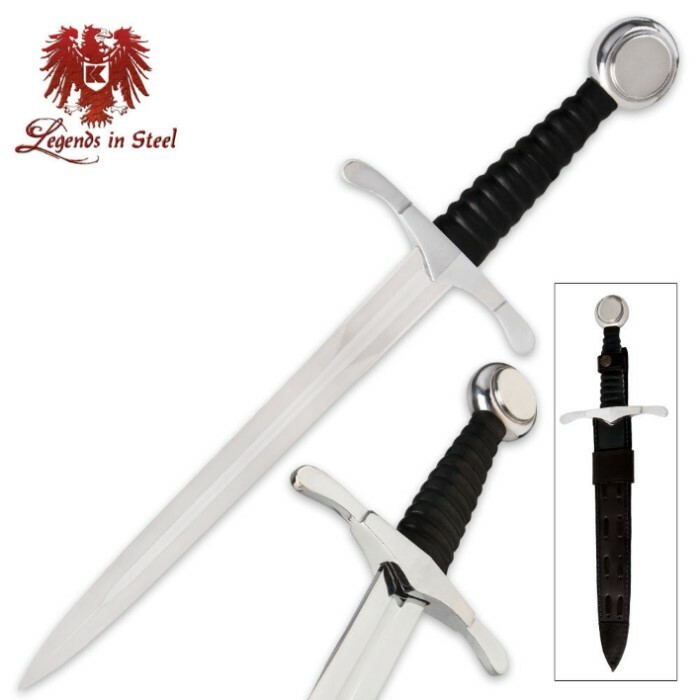 If sturdy, strong and solid is what you are looking for, then that is what you will get when you own the Black Leather Handle Dagger. 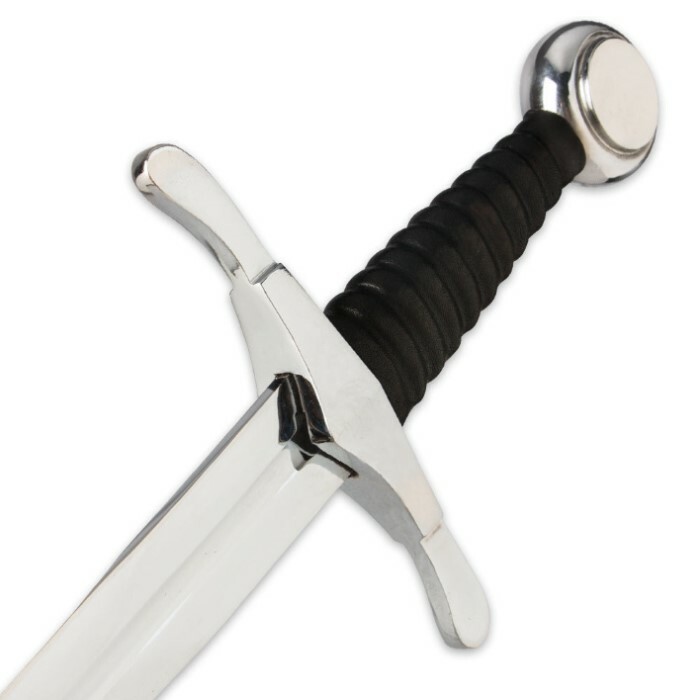 This is a perfectly balanced dagger with its chrome-plated pommel and 11" high carbon steel blade. Both the pommel and the blade are hand-polished. A leather-wrapped wooden handle gives it a slip-free grip. 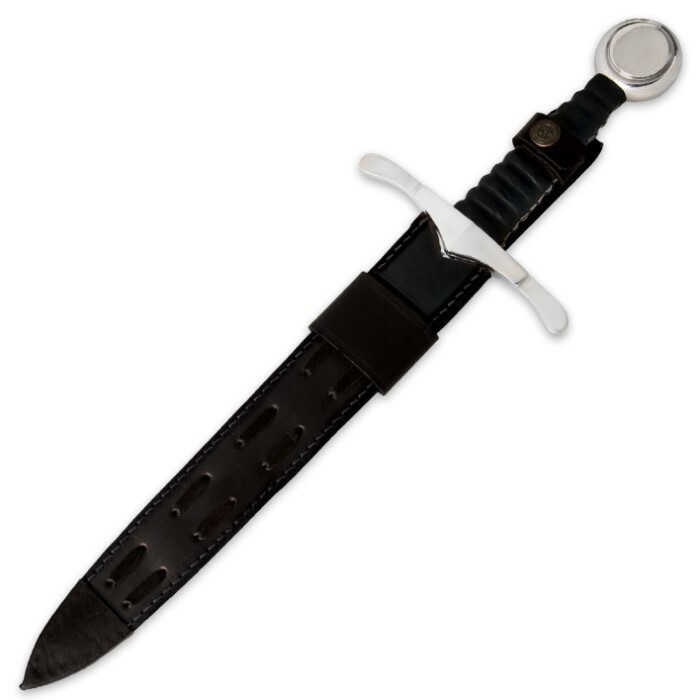 A black leather sheath with decorative stitching is included.